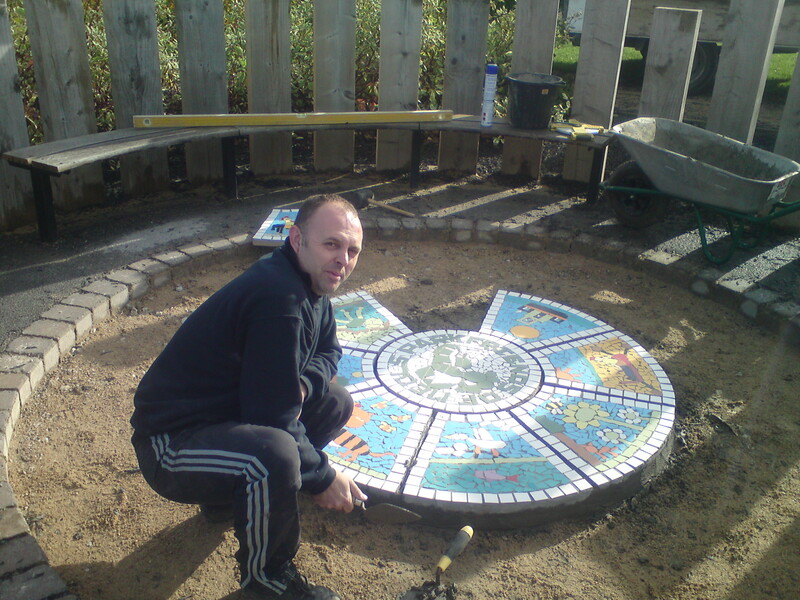 Wirral Council Parks Worker, Kev makes a start on installing the inner circle of our new Mosaic Feature in the Play Area. Posted on October 26, 2011. Bookmark the permalink. Leave a comment.